Cyber-attacks on organizations, including government contractors and federal agencies, have been rapidly increasing over time. With a lack of defined security policies, processes, and controls, many government contractors are ill-equipped to effectively handle potential cyber-attacks that could severely undermine business operations and swiftly lead to insurmountable damages as data and records are destroyed. To mitigate the risk that businesses face, cybersecurity standards are becoming more prevalent. 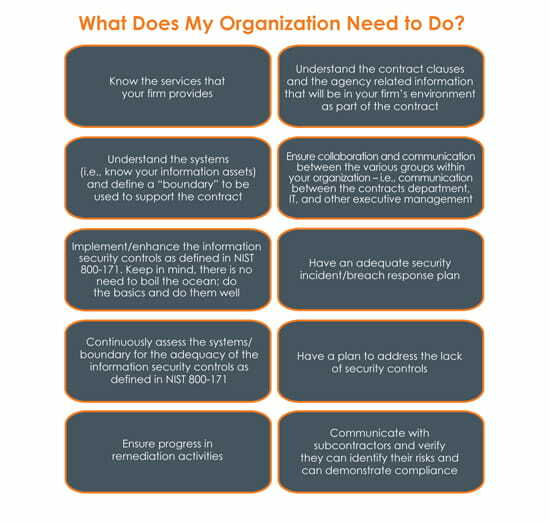 In particular, organizations with government contracts need to demonstrate compliance with cybersecurity standards as specified in contract requirements and regulations. For example, defense contractors that provide services to Department of Defense (DoD) agencies related to building, maintaining, and managing DoD systems, networks, programs, or data may be required to demonstrate compliance with Defense Federal Acquisition Regulation Supplement (DFARS) Safeguarding rules and clauses. CohnReznick utilizes a holistic solution designed explicitly to fill this gap with clients. Our solutions can analyze thousands of protocols and hundreds of new attack vectors each day to find breaches and anomalous behavior on the defense contractor network. X-ray visibility into your environment is achieved by continuously analyzing application-based metadata―combined with user information and the latest threat intelligence, against past, current, and future network activity―to detect any previously unidentified breaches. Defense contractors and sub-contractors can be assured of accelerated compliance with DFARS requirements for incident response, risk assessment, and system and communications protection. CohnReznick provides cybersecurity solutions that are dynamic, scalable, and tailored for growth companies. CohnReznick’s security professionals average more than 15 years in the field and hold key certifications. 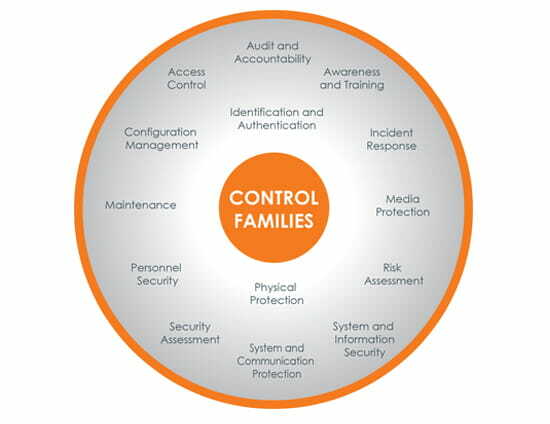 Our professionals have deep experience―not only assisting organizations in implementing and complying with information and cybersecurity requirements using NIST 800-53, NIST 800-171, DIACAP, ISO 27001, COBIT and other industry leading standards and frameworks―but also in implementing advanced breach detection solutions and cybersecurity technologies that align with industry standards. CohnReznick provides audit, tax, and advisory services to the government contracting business community regardless of the agency you have contracts with. Our experience dates back more than 40 years. Having served government contractors from small to Fortune 100 companies in a range of industries, CohnReznick understands business risk and the need to align the right security strategy with business goals.